LeapFrog LeapStart Review & GIVEAWAY! 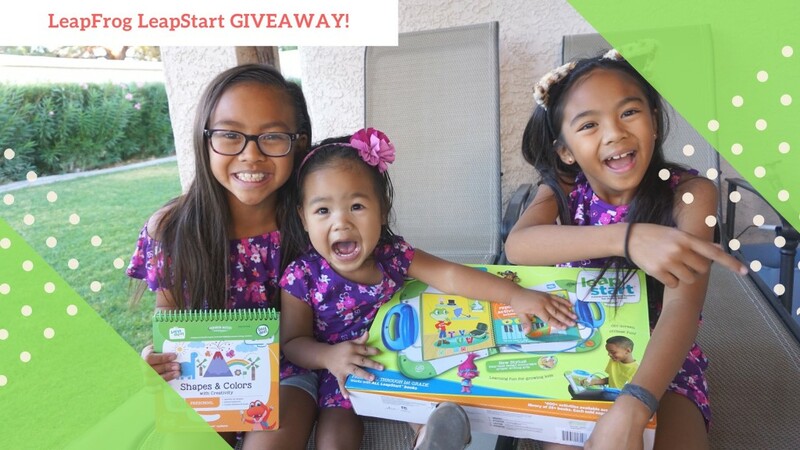 You are here: Home › Fun › LeapFrog LeapStart Review & GIVEAWAY! *This post is sponsored by LeapFrog. All opinions are my own. 16 Responses to "LeapFrog LeapStart Review & GIVEAWAY!" Hi! This is such an awesome giveaway! I love your youtube channel I have been subscribed for a long time I have thoroughly enjoyed your family visits to Disney! That looks very fun and educational at the same time. Always trying to see what entertains kids and educate them as well. Your girls are adorable! And we would love to try Leap frog products! Thank you for the review and giveaway! Wow this giveaway is awesome! Thank you! I like that this is interactive . It looks like a fun way to learn. What an awesome give away. Thank you for the opportunity. This is a great giveaway. My godson loves leapfrog products and I was thinking about purchasing a few leapfrog items for my two. Thank you for the giveaway just in time for the holidays. This is such an awesome product! Fun and educational. Love your channel! Many blessings to you! This would be awesome for my kids, I had one kind of like this when I was little. My 4 year old son would absolutely love this!! I’ve had my eye on it for a little bit! Thanks for the chance!